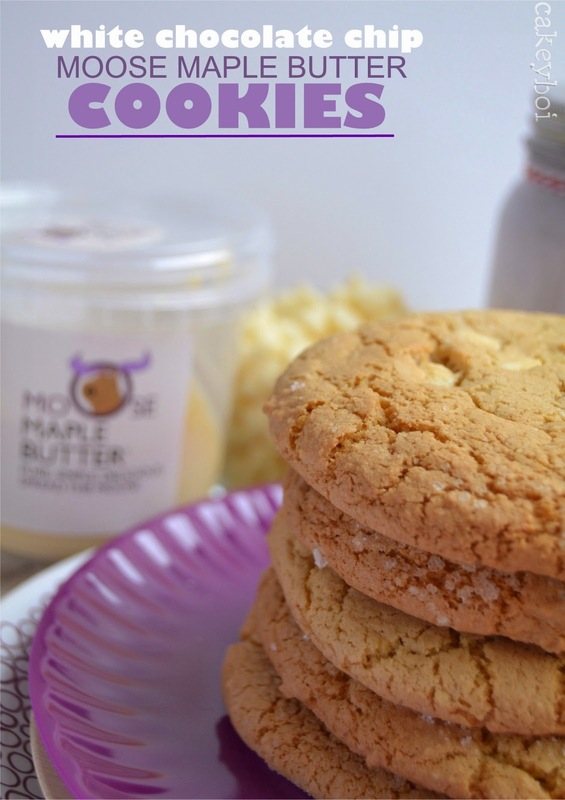 Couldn't you sink your teeth into one of these White Choc Chip Moose Maple Butter Cookies right now??! Did you see my new feature the other week called ‘That’sWhat I call New’? I posted about a few new items I have been sent or tried recently. One of them was a brilliant new spread called ‘Moose Maple Butter’. It is organic butter specially blended with 'grade A' maple syrup and a touch of sea salt. This makes for a delicious naturally sweet spread for your toast, crumpets, to eat with a spoon – you name it! The good thing with Moose Maple Butter is there are no hidden nasties just pure honest ingredients. Me, I think it tastes like pancakes in a jar! Which I love! So how could I use it in my baking? I decided to add it to some cookies. Made with brown sugar and with added white chocolate chips, the maple butter left a delicate maple flavour in the cookies, not overpowering at all. Delicious! I also used some icing sugar in the cookies for a light touch. The cookie dough is quite thick, so the OXO Good Grips spatulas I featured recently are perfect for getting every last bit of that dough out the bowl! Of course if you want to just get your hands on Moose Maple Butter, pop over to the website for more details. Preheat the oven to 180C and line two large baking sheets with greaseproof paper. In a bowl mix mix together the maple butter and the sugars until light and creamy. Add the egg and vanilla and beat until the mixture thickens slightly. 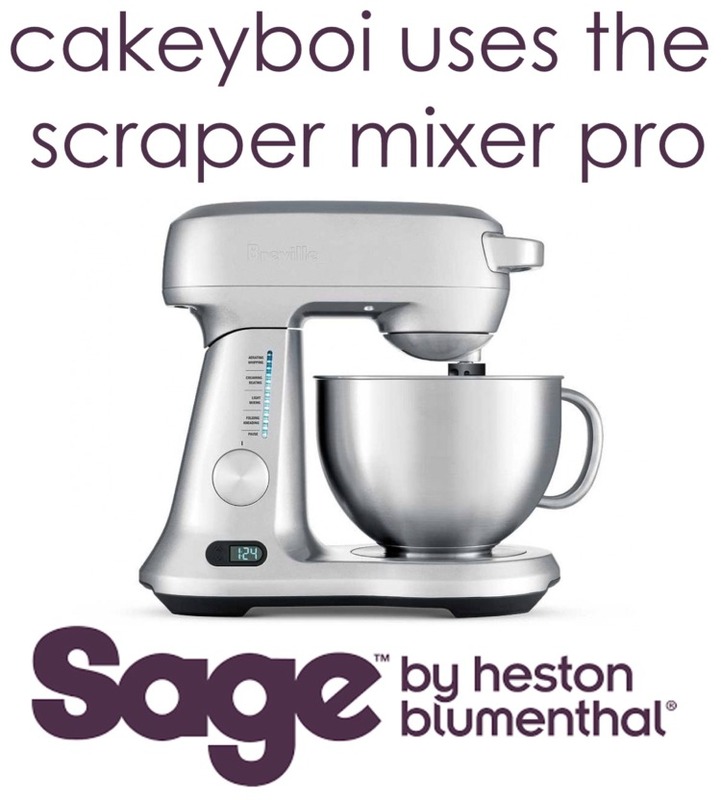 Sift the flour, baking powder, bicarb and salt together. Add to the wet ingredients and stir until the cookie dough forms. Add the milk to loosen it up slightly. Add a bit more if the dry ingredients aren't incorporating. Lastly add the white choc chips and stir through. Spoon large amounts onto the baking sheets, about an ice cream scoop size and flatten down slightly, making sure they are well spaced apart. Pop in the oven for 12-15 minutes or until they turn golden brown. Place on a cooling rack. Your cookies are ready to enjoy. Disclosure Statement: I received the butter free to review. Any opinions expressed are my own. Mmmm these sound delicious, like the perfect supper time snack. I adore how crinkly they are too. I don't know why but I always think that makes them look even more inviting. I know what you mean Laura! Okay, now I NEED moose butter. NEED. These cookies sound so lovely!! Contact on the links above Kate to see where you can get some! They look wonderful, but don't think I could sacrifice any of my tub to make cookies. I am using it on toast mainly, but I could eat it with a spoon easily! Just finished my tub - lasted a whole month. It has been worth it. Love these cookies look amazing!!! Mop it up now lol! Your toutons which you slathered with the moose maple looked great too Karen! I love this stuff. Can't wait until it's easier to get hold of. Love that stuff. It's SOOOO good on corn on the cob. Now - that is a good idea!! Great looking cookies! They sound amazing. Making me very tempted to get hold of some maple butter..... Love the fact that they are chewy too! I've had some Moose Maple Butter and it is amazing. I have been far too lazy to do anything except spread it on already made things ;-) Good for you for being so creative with it. Tempting isn't the word. Glad you put a capital on that T for tempting - it certainly is!